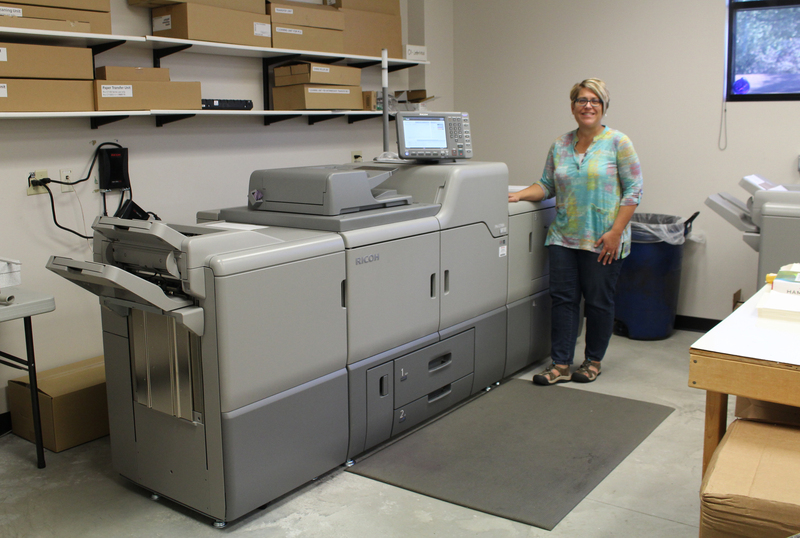 Opportunities, Inc. print services adds new digital press - Opportunities, Inc. Opportunities, Inc. Custom Design and Print Services recently added a new digital press to their fleet to provide their customers with high-quality production capabilities. Delivering top performance product is important to Opportunities, Inc. print services team. For the eleventh year in a row, the team has received Daily Jefferson County Union’s Best of the Area award for Best Commercial Printer. This new digital color production system has industry-leading features that offers professional finishing options, fast turn-around times and vivid clarity. An additional advantage of Opportunities, Inc.’s print division is their mission and involvement in serving individuals with diverse abilities. By utilizing their services, community members and businesses are providing training opportunities for individuals with diverse abilities. Customers can also get their orders delivered. Individuals within Opportunities, Inc.’s Connections program are thrilled to personally deliver orders directly to the customer. From copies to business cards to large banners and car magnets, Opportunities, Inc. Custom Design and Print Services has been providing top service for over 30 years. Tracy Jordan, team member of Opportunities, Inc. Custom Design and Print Services, using the new digital press to provide customers with high-quality, fast turn-around product. Barb Kersten, Co-owner/Stylist of B.E. Hive Hair Salon in Jefferson, receiving their recent order of letterhead from Joel, participant of Opportunities, Inc. Connections program.